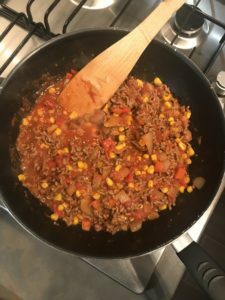 Our evening meals need to be quick and easy but still healthy. Ava isnt the best at eating so it can be hard to get her to eat most meals. 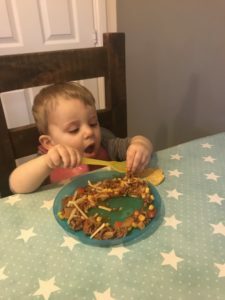 However the one meal she does love is loaded mince nachos. 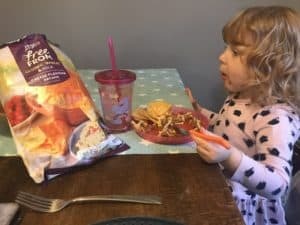 It’s quick and easy to do and she loves the fact that she gets to have ‘crisps’ with her evening meal. 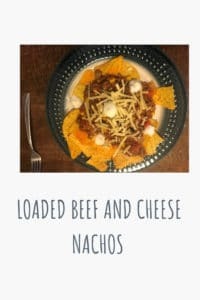 How to make your own Nachos loaded with beef and cheese. To start with you will need to chop the onions and peppers. I also add some grated carrot in from time to time to add another vegetable to the mix. Once all the vegtables are cut you will need to brown off the mince in a pan. Once brown then add the vegetables to the mince. We like to keep are quite crunchy so we dont tend to keep them on the heat for too long. We also like to add some sweetcorn as this is one vegetable we know Ava likes. Then you will need to add one jar of bolognaise sauce to your mince. I generally use a jar for quickness but you could also add a tin of tomatoes and some herbs to form a tasty sauce. Once the sauce has warmed through it’s then time to plate up your food. This is the easiest step yet and so far it hasn’t really been hard. 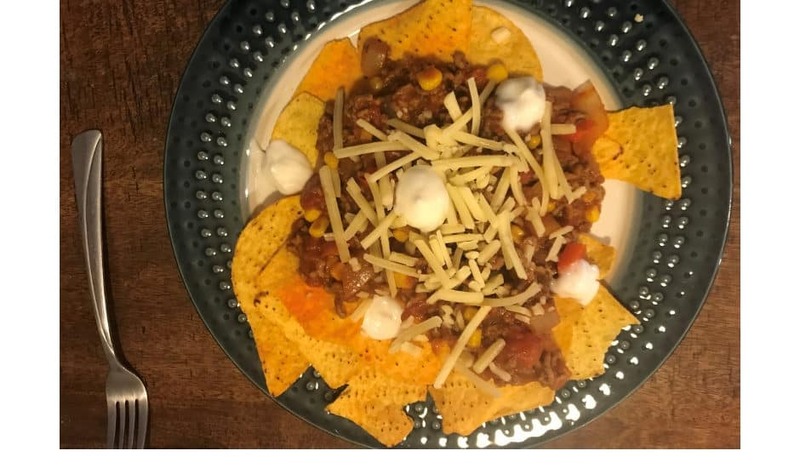 Place some Nachos on a plate and put your mince on top. Then grate over a helping of cheese and add sour cream and guacamole on the top. If like me your a lover of melted gooey cheese. Then pop it in the microwave for a minuite to melt the cheese. That’s it takes all of 20 minuites to do which makes it the perfect mid week meal. Jordan likes to add a bit of heat to his by adding some jalapeno peppers. I hope you enjoy giving this easy midweek meal a try. For me a meal that take 20 minutes to cook and will be devoured in less then 10 minutes is a winner in my books. Also more importantly the beef provides eight essential vitamins and minerals that support good health and well-being. What’s your favourite quick midweek meal ? we also love meatballs check out our recipe. This post is an entry for the #MeatMatters Challenge, sponsored by Simply Beef and Lamb.Learn more about the benefits of cooking and eating beef and lamb along with the recipe ideas and inspiration here! 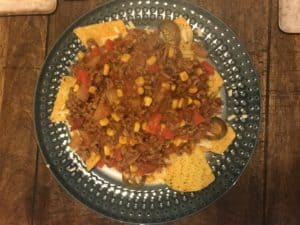 I could have nachos for breakfast, lunch and dinner! These look yummy. 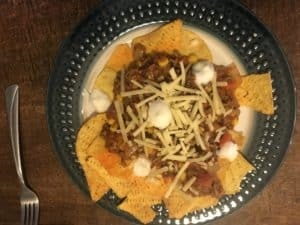 Nachos are the best aren’t they the more cheese on them the better !